Home » Health » Are Video Games a Health Hazard? In recent months, more studies have been done on the effects of video games and how they correlate to health. These debates root back to the 80’s and this week the World Health Organization (WHO) labeled gaming disorder as a mental health condition. Gaming disorder is described by the WHO as a pattern of persistent or recurrent gaming behavior. 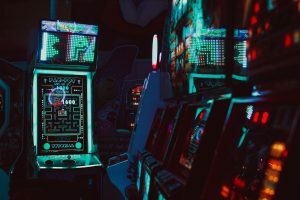 The gaming pattern can, in fact, cause impairment in personal, family, social, educational, occupational, or other important areas of functioning. Do you have someone close to you that might be suffering from this gaming disorder? Today, I’ll be going over signs that you or a loved one might be suffering from a gaming disorder. According to research from the University of New Mexico, 6 to 15% of all gamers exhibit signs that can be characterized as addiction. You might notice your loved one always being irritable when they are not playing video games. They will probably spend multiple hours fixated on the game; anything from 1-3 hours is okay, but any more should throw up red flags. Additionally, you might notice that they come straight home and immediately hop on the games. If it becomes a pattern or habit, it might be time to sit down with that loved one and talk about their playing time. Some effects of gaming disorder include fatigue and hunger, which can eventually lead to a sleep disorder or diet-related health issues. You can end up reclusing yourself by avoiding events to play video games instead, which could cause loneliness. The lack of productivity of just playing video games can be a financial, academic, and social wreck. Video games can increase aggression, based on what type of game a person plays; they can also teach the wrong values. Do you know someone who might have a problem with video games? Talk to them about Cognitive Behavioral Therapy, which is known for treating video game disorders. A parent might want to limit the amount of time allowed on the game systems. If you have a friend or family member who needs video game addiction treatment, you can call 1-866-634-8304, who can help refer you to professionals in your local area who can provide assistance.